The primary reason for becoming vExpert certainly should not be related to any possible benefits of the program. And once confirmed (for me is the seven year in a row) you have to think more about what you can give rather to what is to be expected. But I’d be a hypocrite to deny that there are also practical advantages in being a vExpert! 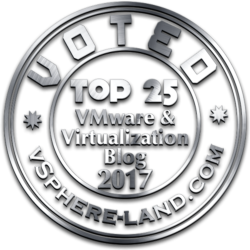 Officially, VMware, according with the vExpert FAQ, say that the biggest benefit of the award is the public recognition as a VMware vExpert Award winner. Be sure to follow the vExpert blog, in order to be updated to all opportunities. But there are also a lot of other benefits (this was the 2015 related list) by third part companies (or also individuals). In my opinion the most valuable for vExpert are the Pluralsight content access (great to learn new stuff) and the Ravello lab access (great to test new stuff). If I miss any reference, feel free to send me a comment (in this post) and I will add it to the list. Historically TrainSignal gave the access to a lot of material. Some years ago it was acquired by Pluralsight and the available material has increased! on the latest technologies including topics ranging from virtualization and security, to SQL Server and .NET. Just fill out the online form. The renewal is quite fast, a new activation may require a couple of day. Note that there is also an interesting opportunity to be part of this community. Like in 2015, Ravello offert a free service also for 2016 vExperts, enabling all vExperts with 1,000 free CPU hours per month to run VMware ESXi labs or VMware workloads in AWS or Google cloud. Just sign up at this page. For more information about Ravello virtual lab see this post. The VMware Press team have bring an exclusive offering to the vExpert community. VMware has built an alliance with Pearson (VMware Press) and is the official publisher of VMware books and training materials for critical topics with the latest VMware technology for professionals. 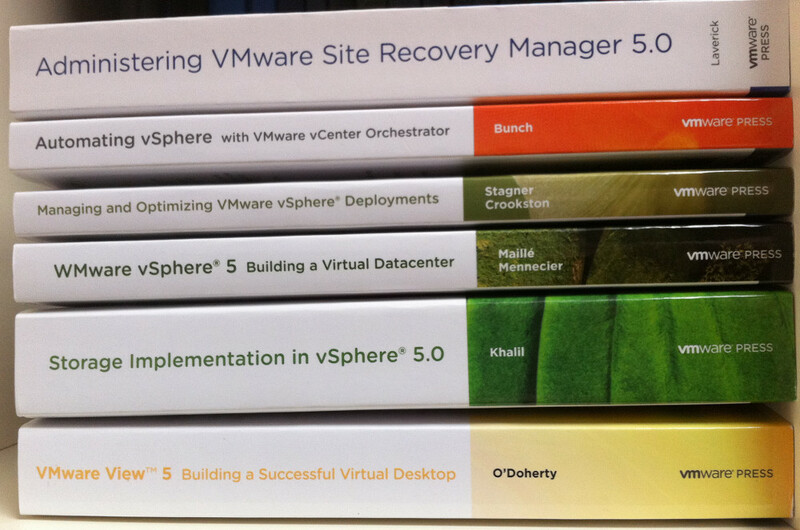 VMware press offers books, ebooks, video training, simulators and practice tests. 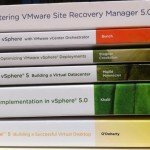 All 2015 vExperts can save 35% off any purchase from vmwarepress.com. For more info see the post on the vExpert blog. As usually, Veeam is giving a free 1 year NFR license for 2 sockets of Veeam® Backup Availability Suite v9 for VMware (or Hyper-V for Microsoft certifications/awards) for your home or work lab. 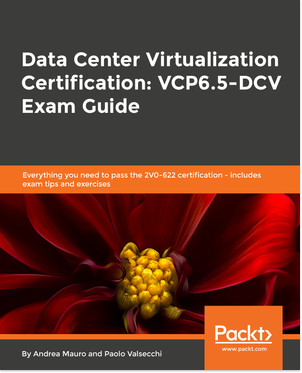 Note that this does not apply only for VMware vExperts, but also for VMware Certified Professionals (VCP), Microsoft Certified Professionals (MCP), Microsoft Certified Technology Specialists (MCTS), Most Valuable Professionals (MVP) and more. Symantec will give to VMware vExpert, VMware Certified Professional or VMware Certified Instructor a free license of Symantec Backup Exec 2015 V-Ray Edition along with 12 months of essential support to use in production or non-production environments (e.g. evaluation, demonstration or training purposes). Fill the form and upon successful validation of your status, you will receive the free copy of Backup Exec 2015 V-Ray edition within 7 business days. Nakivo will give to VMUG member, VMware vExpert, VCP, or VCI a free two-socket Not For Resale (NFR) license of NAKIVO Backup & Replication for your home or work lab. The NFR licenses are available for non-production use only, including educational, lab testing, evaluation, training, and demonstration purposes. This offer ends on March 25, 2016. Altaro would like to offer you an NFR key of Altaro VM Backup (unlimited edition) valued at €495 at no cost to you, to back up your Hyper-V or VMware virtual machines. Your Altaro NFR (Not for Resale) license can only be used in non-commercial environments and may not be resold. AOMEI provide backup and restore solutions, and interesting tools to manage disk partitions. AOMEI acknowledges that Microsoft MVPs, MCPs, MCTS as well as VMware vExperts, VMware Certified Professionals, VMware Certified Instructors, VMUG members, etc provide resources and guidance to the community. AOMEI is glad to reward that contribution with free, NFR licenses of their products to above people. Liquidware Labs provide 25 licenses VDI Essentials + 1 Flex-io server license – perpetual license. Send an email from company address along with date certified vExpert to [email protected]. Opvizor will provide an Enterprise license of their product (see this old post about the product features). You can download the product from the dedicated vExpert page or send an e-mail to Atif Siddiqui ([email protected]) and say Roger Lund sent you. Note also that on Thursday March 31st at 8am PST, there will be a 1 hour webinar exclusively for vExperts on Opvizor. This highly technical webinar with CEO & Founder Dennis Zimmer @opvizor will include a 45 minute technical overview with 15 minutes of Q&A. Sonar is an interesting SaaS solution developed by Xtravirt for remote discovery and analysis of your virtual and VDI environments. Register for your free license at sonarhub.com using promo code VEXPERT16. This provides a 12 month Pro license of both the vSphere and Horizon Management Packs for your home or work lab. To learn more on the product, download the QuickStart guide and deploy in minutes, or watch the 90 second overview. If you are interested to a NFR license of HP StoreVirtual VSA (that can also be used to testing the storage integration of Veeam Backup & Replication), just send an email to [email protected] – 10TB NFR license, license is for 3 nodes. Here is the post on Google+. If you are a VMware vExpert, VMware Certified Professional or VMware Certified Instructor, DataCore Software is offering a free 1 year NFR license for DataCore’s SANsymphony-V Storage Hypervisor Software. Link is not yet update. 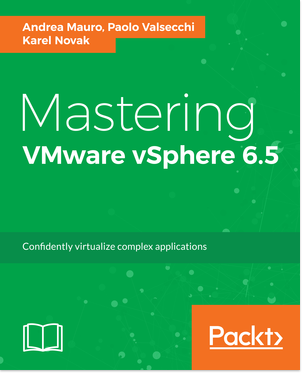 If you are a VMware vExpert or a VMware Certified Professional, Kemp Technology is offereng a complimentary NFR copy of LoadMaster VLM-5000 for personal and non-commercial use. As a vExpert you can have a release of NexentaConnect for VMware Virtual SAN: download the software below and fill out the form with your product ID for a 1-yr promotional license for up to 8 CPU Sockets, matching the VMware VSAN 8 Socket License. SolarWinds provide a perpetual license provisioned for any SolarWinds product to alla MVP. Probably also to vExperts. Jusy send a note to [email protected] with which product(s) you would like licenses for and perpetual license will be provisioned for the current product version. They have a nice console to monitoring, manage and control your virtual network. ControlUp Expert Program Registration is available at this page. Devolutions is offering vExperts a free license of their flagship remote desktop management solution. Remote Desktop Manager lets you centralize, organize and securely share all your remote connections, credentials, passwords and documents throughout your entire team. Learn more about Remote Desktop Manager on SlideShare. If you are interested and would like to obtain the free license, please send an email to [email protected]. Please remember to include a link to your VMware, Citrix and Microsoft profile. Royal TS give a NFR license for Microsoft MVPs, Citrix CTPs and VMware vExperts of Royal TS or TSX, a powerful tool for server admins, system engineers, developers and IT focused information workers who constantly need to access remote systems with different protocols. Synergy combines your desktop devices together in to one cohesive experience. It’s software for sharing your mouse and keyboard between multiple computers on your desk. It works on Windows, Mac OS X and Linux. They are offering a free not-for-resale copy of their product. This is exclusive for Microsoft MVP’s, Citrix CTP’s, VMware vExperts and other similar vendor programs. ICE is an integrated cloud environment. It allows to manage unlimited vCenter, ESXi, and virtual machines via SSH, VNC console, file system viewer, process viewer, etc. It also integrates nicely with vSphere Web Client with one click access. The navigation of the inventory tree is super fast. With proper credential policy set up, accessing any vm is as simple as clicking. Free Standard License are available for vExperts, just send and e-mail to [email protected]. Details here. Thycotic offer to all vExpert and MVP free Secret Server Professional Edition keys for 10 users for one year! Secret Server enterprise password management software gives you and your colleagues control access to critical passwords and sensitive information in one centralized, web based repository. In the same post there also also part 2, related to the vExpert stickers (of past year). Click here to complete the form.